Our quilt group held the annual Queensland Quilter's picnic last Tuesday and it was a great success. We gave the proceeds of the day to a local charity and I think it raised quite a bit of money (not sure how much!) Part of the day was the judging by viewer's choice of our challenge quilts. The challenge was a 24" x 24" quilt with the theme "Autumn". Our city turned out a beautiful autumn day for the visitors. 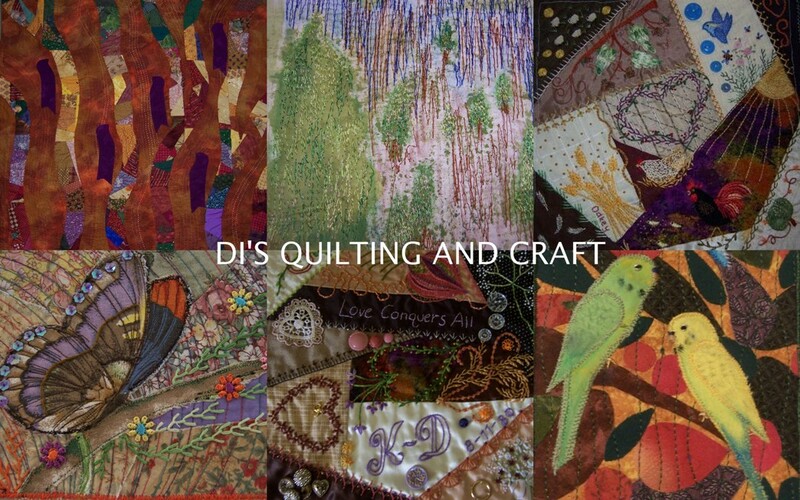 This is the quilt I entered. It is called "Autumn Sentinels". Alas I did not win the challenge, but my very best quilting pal did, so that is okay. The birds are watching the colours of their world change around them, and the leaves falling from their arboreal homes. 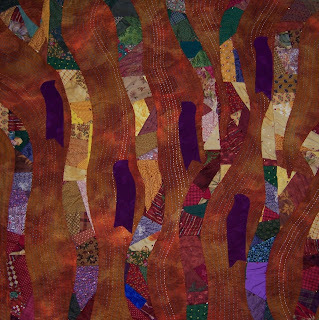 Crazy patchwork and reverse applique ( by hand) for depiction of trees/falling leaves. Needleturn applique (by hand) for the birds. It took quite a few hours to complete! The birds idea came from inspiration of works done by Cynthia StCharles who recently had an article in Quilting Arts Magazine. I received this lovely white potted chrysthanum (sp?) from my youngest daughter for mother's day. She gave me a very cute one last year and when it was spent I just stuck it in the garden. To my surprise it came back beautifully to flower this year for mother's day, so I requested another one for this mother's day. 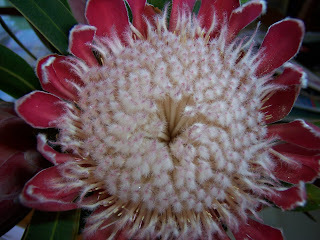 The top flower is a protea. 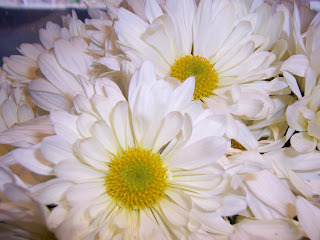 I just love these flowers and you can dry them and they last for ages.